Fortunate K9 Dog & Owner Training in Derry NH - Serving New Hampshire, Massachusetts, Maine and beyond. The best way to learn about training your dog is to actually DO it with the real time guidance of an experienced professional. However, you can still learn a lot about training concepts and theories by reading. We hope that these articles help you add even more insight to your training experience. 1. They do no harm to the dog. 2. They are easy for the owner to understand and provide techniques that are easy to emulate. 3. They provide solid results in real world settings in a reasonable amount of time. - Chain collar and six foot lead? No problem. - Remote collar? No problem. - Clicker and treats? No problem. - Blade of timothy grass while humming “Rollercoaster of Love”? Is the dog trained? 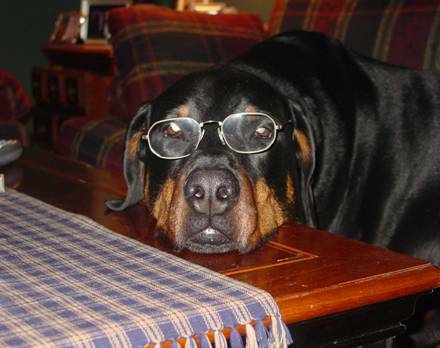 Big Duke says “Study hard, there’ll be a quiz later”. 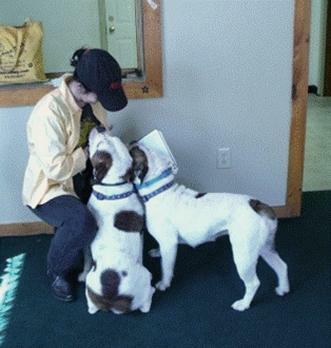 Boarding School students Fenway and Millie offer topics for Julia’s next article. Some of their suggestions: “The Feline Menace”, “Tactfully Intact”, “The Whole Cat Cookbook”, “Fenway and Millie, The Greatest Dogs Ever!”. Julia has declined to commit to any of these concepts at this point. Dogs don’t take days off. They don’t observe holidays, they don’t care if you’ve got a cold, they don’t care if you’re preoccupied with your taxes. They never take a day off from being dogs, so you can’t take a day off from being dog caretakers. 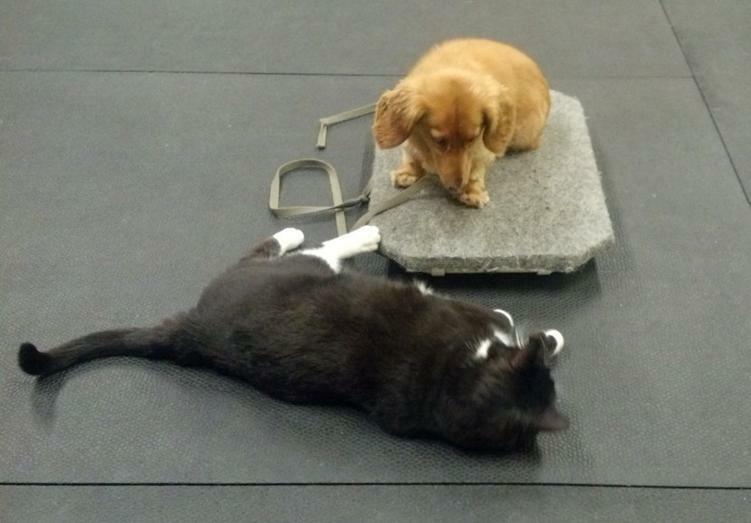 Jackson, a Boarding School student, works on his “place” command with resident stunt cat Jules trying to distract him. 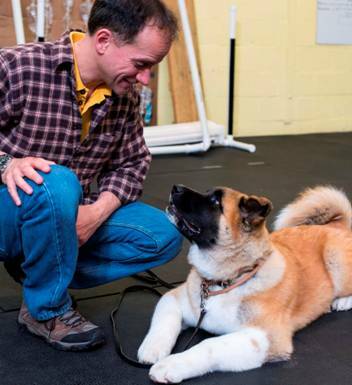 Puppy Prep student Magnus shares a moment with his owner while working on “down”.